To celebrate 25 years of the magazine MBUK are running a contest to win original mint sauce artwork! Calling all Mint Sauce fans! This is a rare opportunity to own a piece of original Mint Sauce artwork, hand-drawn and painted by Mint creator Jo Burt. He created this extra special double-page edition of Mint Sauce to celebrate MBUK’s 25th Anniversary issue, and you can see how he did that in our Making of Mint Sauce video here. Click here to enter. 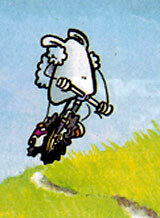 Don’t forget to check out the retrobike mint sauce archive. While Privateer was in California in April and May, exploring the state that gave us mountain biking and continues to lead the conversation, we spent a day at the NorCal High School MTB race at Boggs Mountain. Who should we find there working as the team wrench for the Drakes Pirates team? 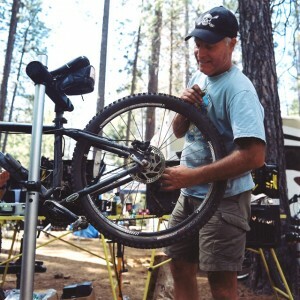 None other than Joe Breeze of Breezer Bikes and the MTB Hall of Fame. Here’s his take on why getting kids into mountain biking at a young age is so important. “I’ve been wrenching for the team since my son was a freshman, five years ago – he’s off to college this year. My wife and I have sponsored the team from the start with Breezer. For four years they were state champions. “My dad was a machinist and a mechanic, so it was like father like son – I’d be working on my three speed from third grade. That was my job: ‘Take care of your bike, kid.’ I just got into it and one thing led to another. Switchback Magazine have an article on retrobike in their upcoming eleventh issue, check the video preview here. The magazine also features articles on Hope and Orange penned and photographed by our very own Augustus. The magazine is available from the switchback website, those in the UK can find it at bigger WH Smiths. Click here to discuss in the forum. 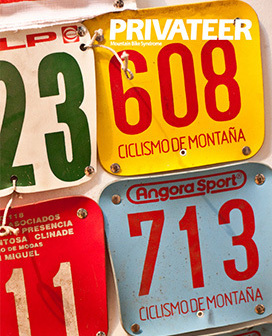 Privateer Issue 8 goes on sale tomorrow the 16th March 2012. 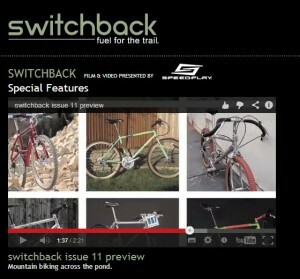 If you haven’t subscribed already be sure to check out the special Retrobike subscription offer. *Steve Peat talks to Tym Manley about his career to date, and why de doesn’t plan on quitting at the top. *Next on the agenda, Andy Waterman visits Nicolai Bikes in Germany to uncover the human faces behind these teutonic classics. Elsewhere, we interview John Lloyd, prolific organiser of endurance events such as the Trans-Wales and the CRC Marathons and Mike Hall talks us through his ’Brotherhood of Pain’, a crack squad of stamina junkies. Last but not least, we speak to Stan Day, the man at the helm of SRAM, a company that has gone from being the manufacturer of a single-product – Gripshift – to an umbrella company for components ranging from hub gears to downhill forks. Click here to find Privateer stockists. Privateer Issue 7 is on sale now, if you haven’t subscribed already be sure to check out the special Retrobike subscription offer. *Steve Behr reminisces over the Winter road trip features which graced many a mid 90s mountain bike magazine. The trips generally featured some riding, a car crash and Rob Warner, not always in that order. *Mike Davis (aka forum member MikeD) concludes his excellent piece on the evolution of frame geometry. *Tym Manley visits Conti in Deutschland. ..and of course loads more. Retrobike member Milko aka Matt Burton has had several of his illustrations published in the latest issue of Peloton magazine. The illustrations can be seen in issue 9 of Peloton which is out in the UK this week, full details on the Peloton website. 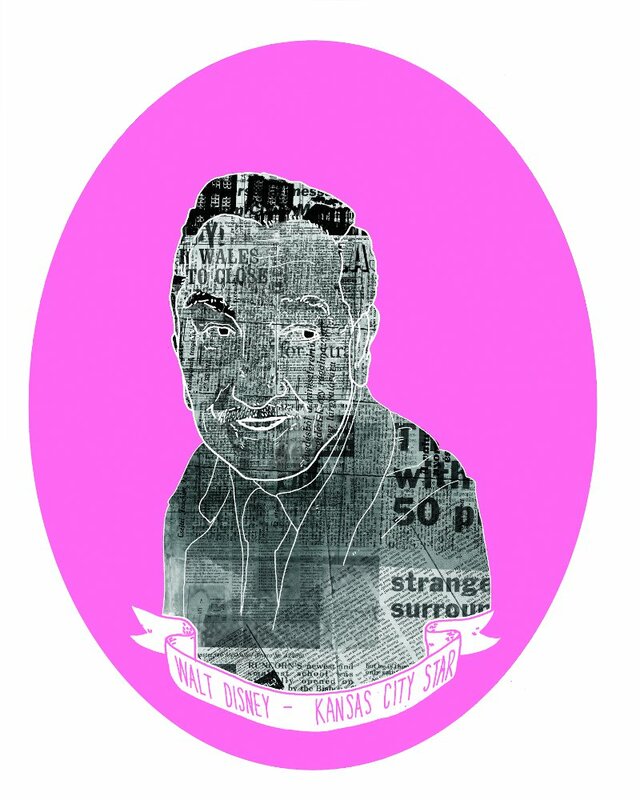 Check Matt’s website http://www.milkoillustration.co.uk/ for more examples of his work. …after much questioning (on both sides) it was decided, my 1995 S-Works Team FSR would feature in an article comparing the new 2011 model with one of the early ones. Retrobike users who attended the Old World MTB Championship at Betws-y-Coed in September were amongst the very first to see a copy of new Mountain Bike Magazine Privateer. Contributing Editor Mike Davis came down to cover the event, ride it and win the pub quiz (an annoying habit he has). A couple of copies were shown around which smelt wonderfully of ink and, unusually when it comes to magazines, most people seemed to be impressed. 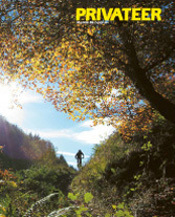 The magazine, which prides itself on appealing to mountain bike riders who ‘know the obvious’, has plenty of content of interest to Retrobikers, although that is just a part of its appeal. 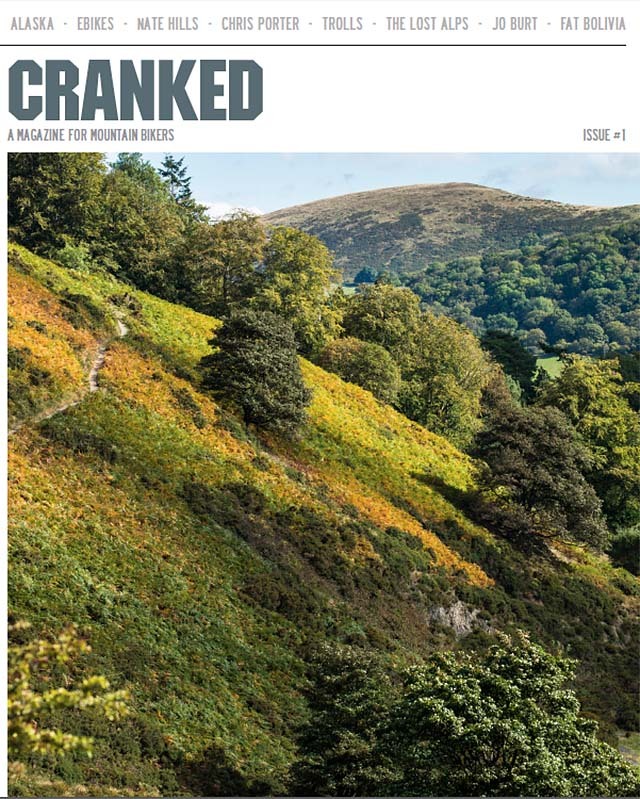 Adding intelligent writing to good design and the sensitive use of excellent photography is not a new idea but it goes a long way amid the sorry slurry of MTB magazines we see today. From the Rouleur stable and edited by MBUK founder Tym Manley Privateer is, as you might expect, just that bit different. Think it might be for you? Well it could be and to make it worth your while finding out we’ve arranged it so that our users can claim a free issue and find out for themselves, click here to take advantage of this special offer. 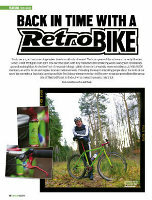 Retrobike April 2010 MBR feature – hi res copy now online. 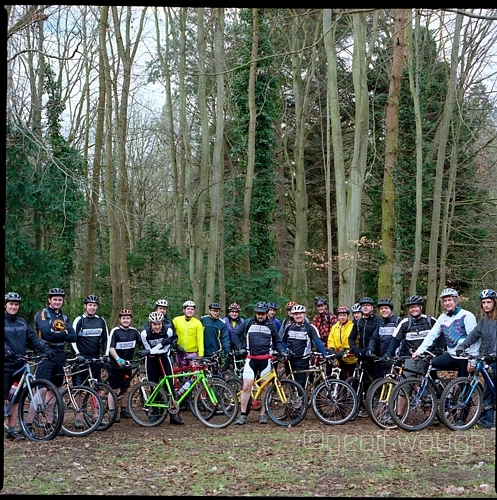 For those who missed it MBR magazine joined us at February 2010′s Thetford meet. The resulting article was out in last month’s (April 2010) MBR. The magazine kindly agreed that we could publish a high res copy once the mag had left the news stand. Click here to view pages one and two and click here to view pages three and four. Click here to see the forum discussion. 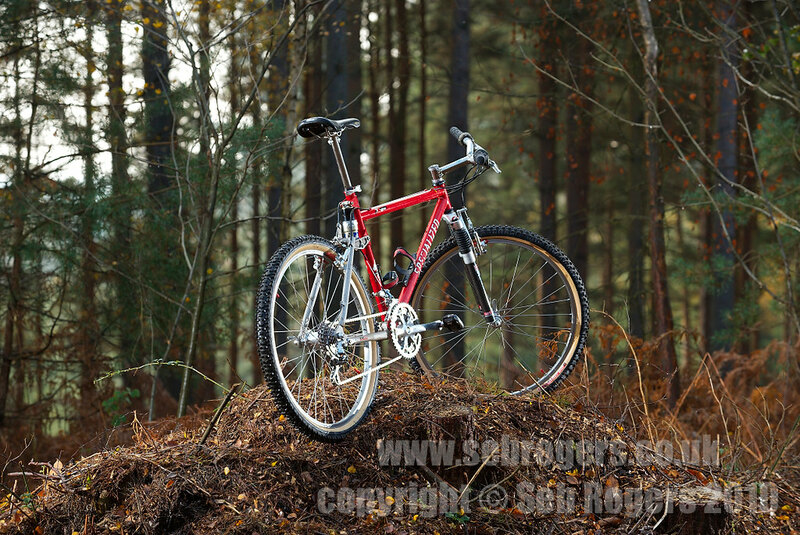 More images from Geoff Waugh from the recent MBR magazine retrobike article have been uploaded here. Geoff has indicated there should be some detail shots uploaded soon. MBR magazine joined us at last months Thetford meet. The resulting article is out in this months (April 2010) MBR and is the best piece on the site in the press to date – top work! Click here to see the article and forum discussion. The article features five riders and bikes with pictures by Geoff Waugh and words by Andy Waterman. The bikes includes Jon’s (aka Jonnyboy666) Orange Aluminium Elite, Neill’s Eastern Woods Research, Rekiborter’s (aka Chris) Parkpre Pro Image, Jango’s (aka Kevin) Nuke Proof Reactor and my own Yo Eddy. Be sure to check it out.